So let me guess, every time you need to talk about money in church, you wince. If you’re going to be effective in ministry, you have to become comfortable talking about money. Yet few church leaders I know are. When you talk about money, it’s like you’re setting yourself up to be shot at. You almost always take bullets when you talk about money, even when you speak about it as earnestly, biblically and honestly as you know how. As a result, many pastors avoid the subject and only talk about it if there’s a financial crisis looming for the church. That’s the biggest mistake you can make. It sets no one up to win: not the church, not your people, and not you as a leader. But you have to talk about it. Why? Because there’s so much at stake if you don’t. Pastors who refuse to talk about money can ultimately leave both their churches and their people broke. The message we continually hear from the culture around us leads people to overextension on things that matter little in the end and can also result in dissolving families (see below). I know what it’s like to lead with very meager resources as well as what it’s like to lead with more. When I began in ministry, three small churches called me to be their pastor. The annual budget for one of the churches was $4,000. No, I’m not kidding. No, there are no missing zeros. Added together, the budget of all three churches was less than $50,000 for the year. The doors were almost closing. But seeing resources freed up for ministry has made a big difference. More than 2,500 people now call our church home, and we see over 1,000 of them every weekend. Today our church is vibrant, healthy and alive (and I’m so thankful for that). What’s even better is how we’ve seen people who attend our church become financially healthy in their personal life and as that’s happened, millions of dollars have been freed for ministry. But to get there, you have to get over your fear of talking about money. One of the best ways to talk about money is to realize why you need to talk about it. And the why will lead you to the how…giving you content for your messages and for other strategies as you connect with people. Think about it. Do you know a person who doesn’t talk about money in some way every day? There’s not a family in your church or community that doesn’t have some kind of daily dialogue about money. People talk about it, argue about it, and try to make their plans around it. 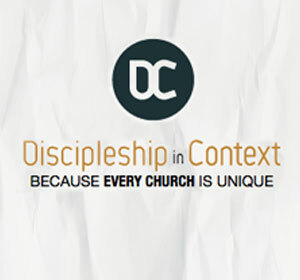 Almost everyone in your church and community thinks about money daily and talks about it daily. They may even struggle with it daily. It’s just that few people step up to help them with it. As a result, people talk about money in a theological vacuum because few church leaders will talk about it. So start talking about it. Could it be that your reluctance to talk about money is costing people their marriages? Reports continue to show that money issues are a top reason families break up. In a culture of plenty burdened by massive personal debt and a lack of fulfilment around money, families are looking for hope and help. If the church won’t help people figure out how to handle their personal finances, who will? The scripture is packed with practical advice and missional claim on personal finances that can literally change people’s lives. Why hold out on people? Who will bring them help or hope if you don’t? 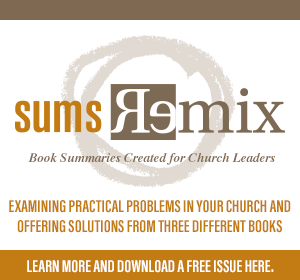 Addressing money in your church shouldn’t just be about yourneeds in ministry. Too many leaders only think about their church’s need when it comes to money. Wise leaders think about their congregation’s needs when it comes to money. If you help people plan their personal financial future, you’ll have a better future as a church. The tagline we came up with a few years ago is that we want people to live with margin and live on mission. I started telling people I wanted them to pay cash for their next vacation, to save for their children’s education, to save for retirement, to create an emergency fund and to live generously. I think people were shocked that a preacher a) wanted them to take a vacation, b) wanted them to pay cash for it, c) offered a program to help them realize their financial goals and d) didn’t expect all their money to go to the church. One of the best things we’ve done in the last 5 years has been taking hundreds of adults and students through the Financial Learning Experience. It’s a two-hour forum designed to help people master the basics of financial planning and realize their dreams. There are follow up small groups and individual coaching you can also offer. My joy as a leader is to see hundreds of people paying cash for their vacations, saving for their kids’ education, saving for retirement AND giving generously to the Kingdom. But that only happens if you want something FOR people, not just something FROM them. If the world (and church) have an idol, money is a prime candidate. So know up front you’re going to get push back when you address it. But if you help people with their finances as a ministry and steward the money that’s received appropriately, you will help break the power of an idol in our culture and church. When you attack an idol, prepare for a counter-attack. It’s easier not to fall victim to the criticism or internal battles that the attack brings when you realize the attack is coming. Most people want to be generous. They just need help with how. When you can’t make your minimum credit card payments, even a $20 donation to the food bank seems out of reach. When you help people get their finances in order, generosity can be unleashed. And more people want to be generous than you think. They just need help getting there. When people give, you receive a measure of trust from both people and from God. You need to steward and manage the money well. Things like a third party independent annual audit (which is expensive, but worth it) should be the norm. And your vision and mission should be compelling and up to the challenge. People don’t give generously to uninspiring or poorly stewarded visions. Sure, sometimes. But see points 1-3 above. Surprisingly, unchurched people love to talk about money when they realize you’re ready to help them. 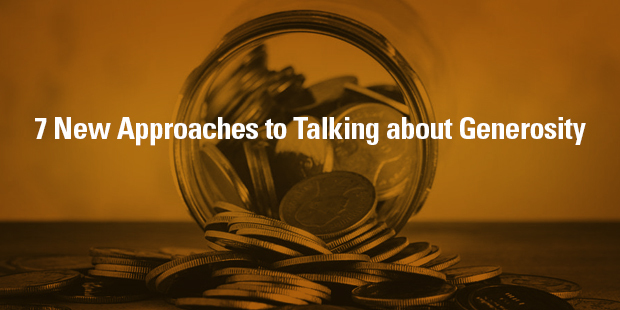 In my experience, the people who raise the most fuss when it comes to talking about money in the church are long-time church attenders who don’t give much. I can’t prove that statistically, but it resonates with my experience and intuition. Don’t let the people who never give ruin your ministry to people who want to give. Connect with an Auxano Navigator to learn more about Generosity.